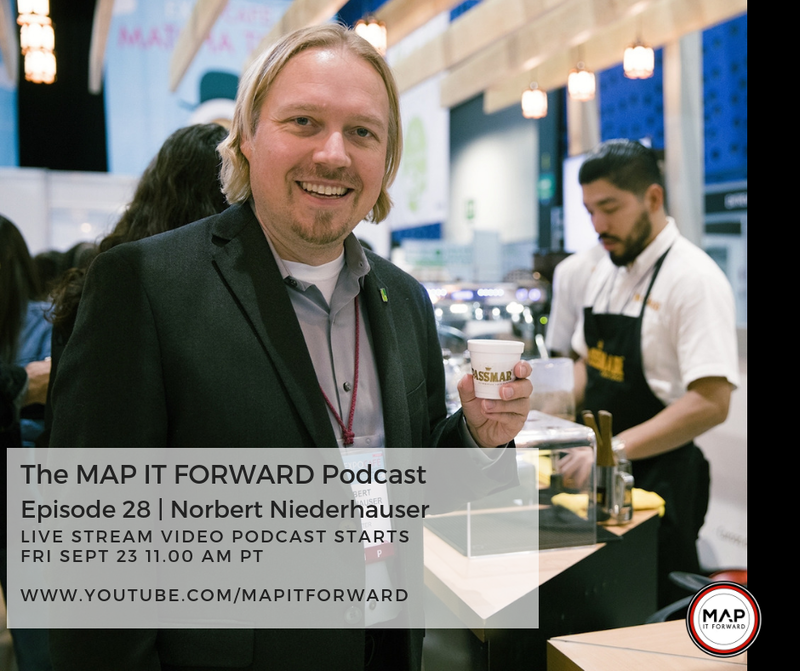 Norbert Niederhauser is CEO and co-founder of Cropster. Checkout this episode on YouTube here (Pt1) and here (Pt2), on iTunes here, and on Stitcher here. For details on our upcoming tour in Australia go to www.mapitforward.com/events or www.crs.business/new-events. Listen to the podcast for discount code details. VIRTUAL TICKETS NOW AVAILABLE. Elixir Specialty Coffee www.elixirfy.me - Looks like whiskey, feels like tea, made from coffee and unlike anything you’ve ever had before Follow Elixir on social media @elixirspecialtycoffee. Scott Rao is roasting for Elixir next month and is in very limited supply. You’ll need to pre-order before October 1st to secure your #ElixiRao. If attending the MIF events in Australia, you can order your Elixir and pick it up when you pick up your wristbands at the event.